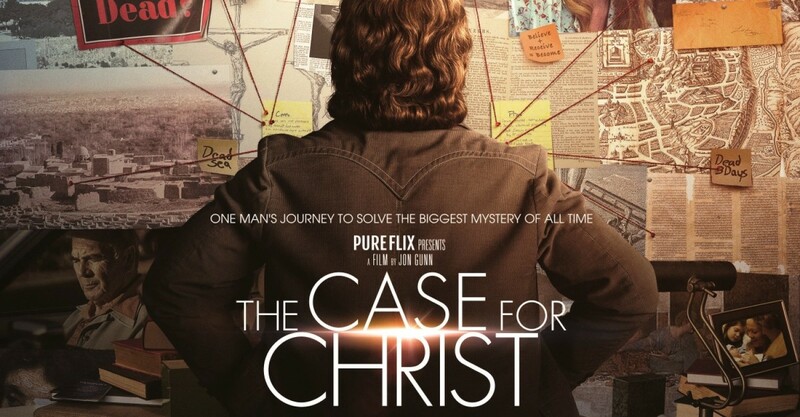 The Case for Christ is a docudrama detailing the story of a Chicago Tribune reporter, Lee Strobel (Mike Vogel), who attempts to disprove Christianity after his wife, Leslie (Erika Christensen), becomes a Christian following a “chance” encounter with a nurse (L. Scott Caldwell) who saves the life of their daughter (Haley Rosenwasser). Sensing something more than coincidence at work—the right person (a nurse) in the right place (the restaurant) at the right time (a choking incident)—Leslie eventually accepts an invitation to go to church with the nurse. At church, she hears God’s Word and believes in Jesus. Strobel, an award-winning journalist and avowed atheist, is beside himself at the news of his wife’s conversion to Christianity. The rest of the movie revolves around his work as an investigative journalist and his attempt to disprove Christianity so that his life can go back to the way it was before his wife’s conversion. The film’s dramatic tension comes in the interplay between his bitter, alcohol-laden, downward spiral, and his wife’s steadfast yet tested love for him. Strobel’s investigation of Christianity hinges on one question: Did Jesus really die and then rise from the dead? If Jesus didn’t die then there’s no reason to believe in a resurrection. He wants to prove that Jesus’ death and resurrection are nothing more than legend, a really old lie, or maybe mass lunacy. As he begins working he doesn’t consider that through his investigation he could end up making The Case for Christ as Lord and Saviour. Leslie Strobel’s coming to faith is more focused in her heart and personal experiences whereas her husband’s old-school journalistic approach to every investigation, including his investigation into Jesus, focuses on the facts, while harbouring deep suspicion of feelings. He’s part of the “If your mother says she loves you you’d better find another source to corroborate that story before it goes to print” school of journalism. The Case for Christ quickly becomes a compelling story about a couple at odds over faith. It rings true because many couples experience the same tensions and stresses regarding faith and skepticism even if a spouse isn’t a Chicago Tribune journalist. As the film unfolds a question emerges: Can the marriage weather this conflict or is separation or even divorce on the horizon? Christian viewers may be reminded of 1 Corinthians 7:13-14, “If any woman has a husband who is an unbeliever, and he consents to live with her, she should not divorce him. For the unbelieving husband is made holy because of his wife, and the unbelieving wife is made holy because of her husband.” In this case, the unbelieving husband seriously contemplates divorce but while he is frequently angry, unkind, and drunk he continues living with his wife and, much to his chagrin, begins noticing positive changes in her due to her Christian faith. Some of the producers of The Case for Christ also worked on God’s Not Dead 2 (2016) and some, like Elizabeth Hatcher-Travis and David A.R. White, also worked on God’s Not Dead (2014) but in this case their efforts result in a better film. 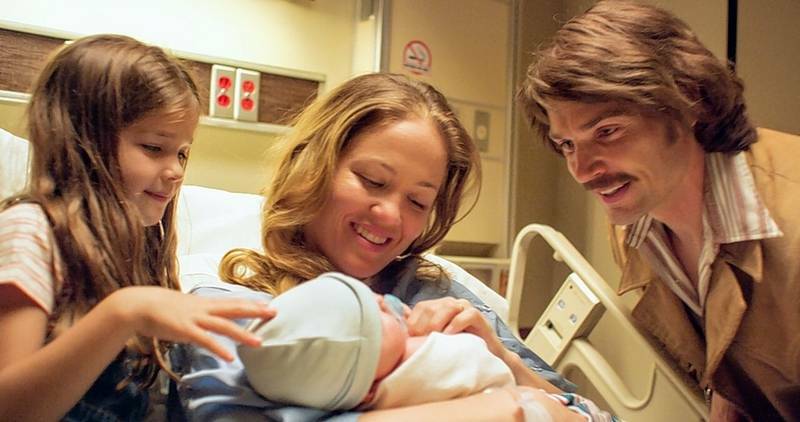 A major complaint with the God’s Not Dead films was the poor treatment and development of the atheist characters. The screen writers seemed to forget what St. Peter says when it comes to the task of apologetics (the reasoned defence of the Christian faith). He says Christians should “always [be] prepared to make a defense to anyone who asks you for a reason for the hope that is in you; yet do it with gentleness and respect” (1 Peter 3:15). While director Jon Gunn doesn’t sugar coat Strobel’s faults and character defects in The Case for Christ, he presents a man who loves his daughter, struggles to love his wife, and even personally struggles to come to terms with his estranged father (Robert Forster). Strobel is also portrayed as an honest journalist who, while good at his work, is also willing to eat crow if he fails in his reporting. Essentially what viewers see is a fleshed out character not a flat two-dimensional cardboard cut-out or stereotype of an atheist. This is a leap ahead when it comes to the way other faith-based films present non-believer characters. As a film, The Case for Christ deals with its atheist characters fairly, one could even say with “gentleness and respect.” This is refreshing. Lutheran viewers will want to be aware of the film’s strong, repeated emphasis on decision theology. That said, careful viewers will pick up on some elements that downplay making a personal decision for Jesus and better reflect the Small Catechism when it says in the explanation to the third article of the Apostles’ Creed: “I believe that I cannot by my own reason or strength believe in Jesus Christ, my Lord, or come to Him; but the Holy Spirit has called me by the Gospel, enlightened me with His gifts, sanctified and kept me in the true faith.” Leslie Strobel becomes a Christian after hearing God’s Word. Receiving faith in this way echoes St. Paul: “Faith comes from hearing, and hearing through the word of Christ” (Romans 10:17). Another significant detail in this regard is the film’s use of an Old Testament verse from Ezekiel: “And I will give you a new heart, and a new spirit I will put within you. And I will remove the heart of stone from your flesh and give you a heart of flesh.” After Leslie encounters this verse she makes it her prayer for her husband. 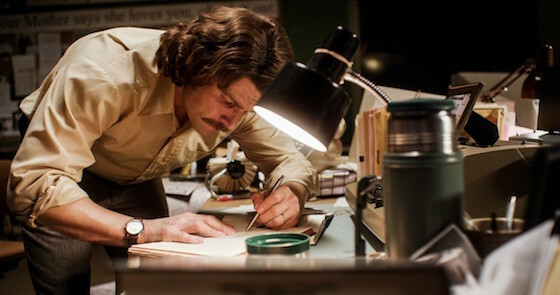 Ultimately, while Lee wrestles against God with all his reason, strength, and investigative drive, the film shows it is God who changes the investigator. Ironically, just as he can’t investigate his wife’s way out of the faith, he can’t investigate his way into the Christian faith. 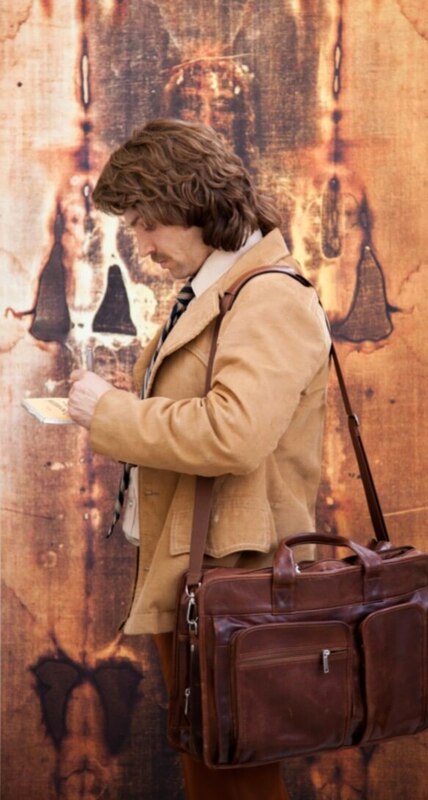 Overall, the film shows it was God who “called, gathered and enlightened” Strobel, and Strobel is portrayed as a man with the gift of a repentant heart. Most Christian viewers familiar with popular apologetics won’t be surprised by the film’s ending. Lee Strobel is now a popular Christian apologist and author. Although this film is a cut above other films in the faith-based genre (better script, acting, cinematography, and design) it still hits a couple snags. First, because The Case for Christ is professed to be a “true story” and deals with questions and answers rooted in apologetics which centre on a search for and a proclamation of what is true, viewers might expect a high level of accuracy in telling Strobel’s story. A quick surf over to YouTube will find a number of videos of Strobel telling his story when they are compared to the 2017 film it will become apparent that some details have been altered and or added for dramatic effect. Depending on the purpose ofThe Case for Christ this could easily become a major flaw. By injecting Strobel’s true story with factually inaccurate details, skeptical viewers may be tempted to distrust the important truths concerning the life, death and resurrection of Jesus. That could be a problem if the purpose of the film is reaching agnostic, skeptical, and atheist viewers with a personal story about a man who was where they are now. If, however, The Case for Christ is intended only to encourage people who already believe, who it is assumed will not have their faith in Christ rocked by some dramatization of Strobel’s life, then perhaps adding fictional elements will not be an issue. A really great film for everyone—believer and non-believer—would present both an unvarnished account of Strobel’s journey and a strong apologetic for Jesus’ life, death and resurrection. If viewers dig into the details of The Case for Christ they will find it to be a strong film on the latter point and a good but weaker film on the former. 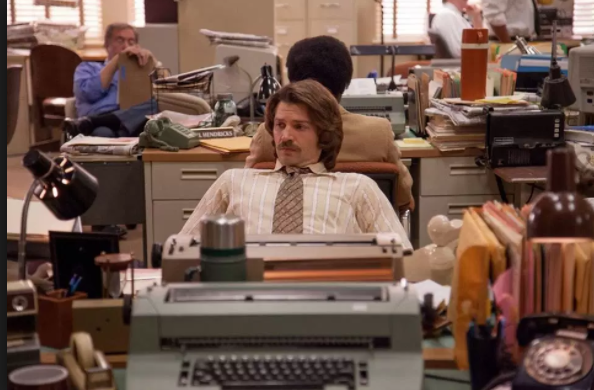 Viewers, both Christian and non-Christian, will have to come to terms with whether it’s important that the film’s details about Strobel’s life are accurate. Hopefully, this won’t be a distraction from the core message of God’s love for the world in Jesus Christ. While overly sentimental and sappy in spots, The Case for Christ is a step in the right direction. Aspiring Lutheran scriptwriters and directors can be encouraged by a film like this even if they are critical of its flaws. It shows that the door continues to open wider and wider for telling new stories on film. What would a similar modern Lutheran entry into the faith-based genre look like? Better yet, what would it look like if it was not even categorized as “faith-based” but mainstream? Could someone make such a film successfully for both Christians and non-Christians? Good questions to ponder after seeing The Case for Christ. Unlike The Shack which muddles up the Holy Trinity in an unchristian way, The Case for Christ is a Christian film with a positive message that clearly points to Christ Jesus while emphasising that it is God who ultimately changes hearts.